Sledge Hammer is a no-nonsense cop whose best friend is his .44 Magnum, and who just loves to use excessive force to collar criminals. In the opener, the mayors daughter is kidnapped, and Hammer vows to bring her back -- dead or alive. Hammer is asked to straighten out some young hoods that have taken over their high school. He discovers that the gang is working for a local car theft ring. Hammer convinces the teens to put their violent nature to good use by training them to become cops. Hammer and Dori pose as a couple wanting to adopt a baby in order to discover who is kidnapping infants from a hospital maternity ward. They learn that the hospital’s head nurse and her brother are behind the abductions, which lead to an incongruous shootout in a baby supply warehouse. A gang of silver thieves, working in cahoots with an unscrupulous police psychiatrist, destroys Hammers psyche when they steal his beloved 44 Magnum… effectively crippling the crime fighter. When Hammers favorite hanging judge dismisses charges against a local mobster, Hammer investigates. The judge is found murdered with the only clue leading to a shady pool hall. Sledge poses as a pool shark to uncover the racketeer who has been blackmailing city officials. 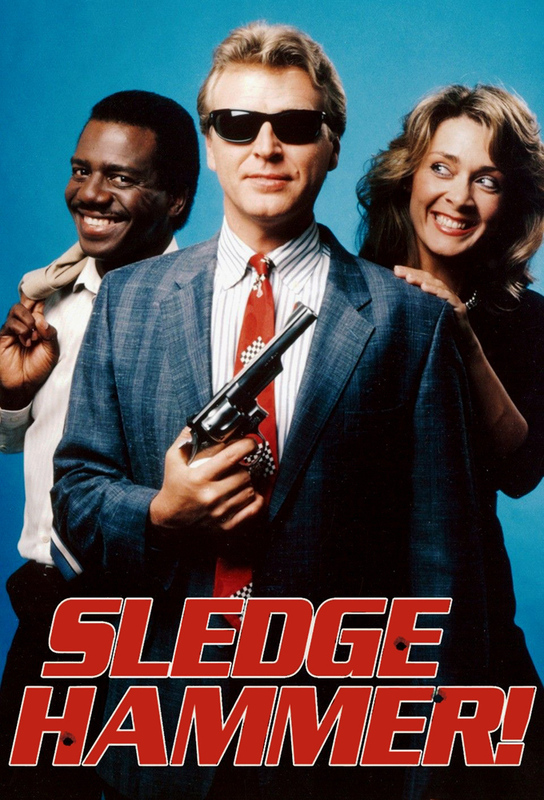 When a handsome jewel thief is arrested, he manages to convince Hammer that he’s his long-lost brother… enlisting Sledge’s aid in his rehabilitation. While pursuing a counterfeiter, Doreau gets knocked on the head. The results are a personality disorder that makes her behave in the same anti-social, violent manner as her partner Hammer. Hammers search for a jewel thief leads to an upscale beauty salon, where henchmen rob the society matrons’ homes during their hair appointments. Hammer goes undercover as a hairdresser in order to stop the British thieves who are after the ladies jewels. Hammer is assigned to protect a Russian scientist who is being pursued by the KGB, leading to a cross country train journey fraught with peril. Hammer goes on trial for the murder of the citys leading crime boss. Capt. Trunk and Dori are called upon to give damaging testimony against Hammer and everyone is convinced he’s guilty, including Hammer himself.